Manchester United have confirmed a friendly against Chinese Super League outfit Shanghai Shenhua on July 25. 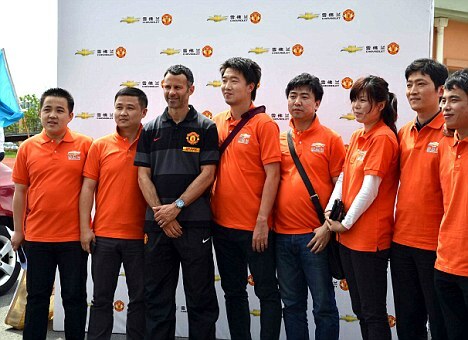 United veteran Ryan Giggs jetted into Shanghai for the announcement of the commercial tie-up. The game against the side that already have Nicolas Anelka in their squad and are trying to sign Didier Drogba, will be part of two matches United play in China during their pre-season programme. The Old Trafford side have a strong market presence as a club in the Far East, with research conducted on behalf of the club showing they have twice as many supporters in the region as Barcelona, their nearest rivals.